Smartphones are very powerful. They are so powerful that the FM capabilities inbuilt can save lives. Most of what they do is through a cellular connection. But cell towers are vulnerable during floods, tornadoes, hurricanes, wildfires, and other natural disasters. At other times, there could be network congestions because of too many people making calls and this could make communication difficult or impossible. 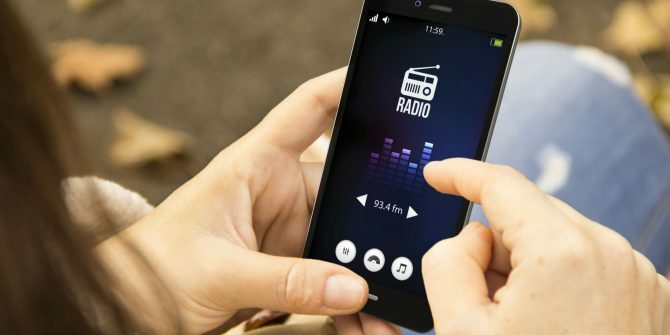 Most of the smartphones that are produced today are equipped with radio chips that are capable of receiving free FM radio broadcasts when cellular service is down. However, there are those phones now don’t have a built-in antenna, such as some of the phones made in America. Of course, when most of the communication lifelines fail, local radio can become a powerful tool for reaching out to our loved ones. With the failure of cell towers, it is still possible for local radio stations to keep broadcasting. Most radio stations keep backup generators in a bid to overcome grid failures. During a crisis period, it is possible for the authorities to tap into a network of about 1,600 independent public radio stations in the US alone. Further, these stations can reach out to a whopping 300 million or more Americans which includes residents of rural and remote areas without access to other media services. Through FM radio, emergency management agencies are able to convey evacuation instructions, alert communities about emerging threats, and also this medium can be used to coordinate relief efforts. Over the years, the significance of FM radio during a natural disaster has been demonstrated. Local radio stations have been reputed to save lives during periods of natural disasters by making use of timely information to vulnerable populations even when landline phones and cellular networks fail to deliver. One fact remains about the enabling of smartphone radio antennas which would come at no further cost to the user is beneficial for saving lives at times when natural disasters strike. It is as easy as that: smartphone users can get access to FM radio signals simply by downloading an app.